The Bank of Japan (BOJ) took the financial world by surprise last Friday when, in a 5-4 decision, they announced they would begin imposing a negative 0.1 percent interest rate on any new excess reserves beginning on February 16. Despite the “shock and awe” quality of the announcement, the BOJ’s policy decision is more significant in a symbolic sense than in a practical sense. It signals the BOJ’s recognition that quantitative and qualitative easing policies are not enough to reach Japan’s 2 percent inflation target – and therefore, they are willing to experiment with pushing the interest rate lower than it has ever gone before. However, practically speaking, the direct impact will initially be relatively limited because it only applies to new excess reserves – and not to the $2.5 trillion worth of excess reserves that Japanese banks already have. However, the policy may end up simply penalizing banks without achieving the hoped-for stimulation of demand. Currently, banks are not holding on to their money because of their inherent stinginess, but because there is no demand for their loans. And if the demand did not exist in a zero percent interest rate investment environment, then it is unlikely to materialize in a small negative interest rate investment environment. Further cuts may be necessary for a NIRP to have any meaningful impact. But why did the BOJ decide to begin this experiment now? Harris lists several factors, including concern about the strengthening yen’s impact on corporate profitability (exports becoming more expensive), a desire to tip the outcome of the upcoming spring labor negotiations in favor of the workers (to raise wages for Japanese workers), and the potential negative impact of falling energy prices and China’s slowdown on Japan’s economic recovery. 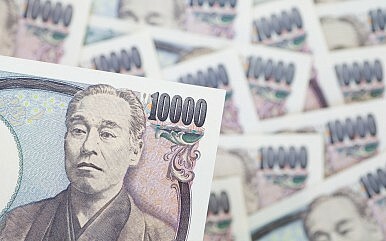 Indeed, the value of the yen dropped following the announcement. That is good news for Japan’s exporters, but bad news for consumers and those that rely on imports, which have become more expensive again. This “fee” on keeping money in the bank, in addition to incentivizing banks to make more loans and companies to pay higher wages, will also incentive people to move money out of Japan – which will contribute to a cycle of pushing the yen down, and hence, increase inflation. Inflation is an important goal for Japan’s economic recovery because the low prices that have plagued Japan for over two decades have meant lower wages, which in turn makes it more difficult for Japanese citizens to pay back their debts. Speaking of debt, the Japanese government would also benefit from inflation to help decrease the value of the government’s debt, which is over 200 percent of the country’s GDP now. Regional banks will face particular challenges because they cannot offset weak domestic demand for loans by loaning abroad as the top three “megabanks” do. The 100 or so regional banks account for half the country’s outstanding bank loans, but mostly compete domestically to give low-risk loans to cautious small and mid-sized businesses. A NIRP – especially if it expands further – could force regional banks to consolidate or succumb to their rivals. It is interesting to see how this will play out in the Upper House elections, because Abe and the ruling Liberal Democratic Party (LDP) want to make to make economic policies a central issue. Another political side benefit of the timing of this announcement is that it helps distract from economic revitalization minister Akira Amari’s scandal-induced resignation – and presents the narrative that the government is maintaining a steady hand on economic policymaking despite this high-profile resignation. Though Abe and Kuroda are trying to project an image of decisiveness, it could backfire if the behavior of banks and companies do not change as expected or as quickly as hoped for. Also, economic performance is dependent on factors beyond the Japanese government’s control – including weakening foreign demand (especially from China). If this policy does not deliver, the opposition can argue that Abenomics is a failure, as there will be very few unused tools left in the toolkit.